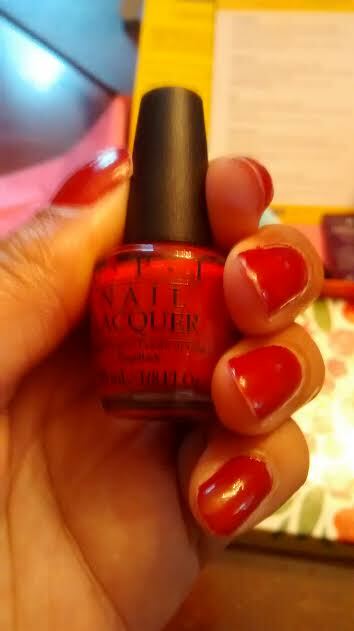 Disclaimer: I received this OPI sample via Birchbox which I have purchased myself and my opinions are mine! For #ManiMonday, here is shade of red called "Amore on the Grand Canal" from the OPI Venice Collection which has collaborated with Birchbox and August Birchbox Guest Editor box for Candidly Nicole!! My polish has lasted for 5 days under normal activities and with the help of my pink dish gloves, of course! I love how this shade of red complements my skin tone! What color did you wear for #ManiMonday or this week? Will you be trying the latest shades from OPI Venice Collection? Thank you! Check out Monday for my Labor Day #ManiMonday Post!